Your Holiday shopping list is almost finished. Everything’s bought and wrapped except the gift you’re giving to the furriest member of your family. That’s the easy gift, though, because you know what your dog likes. He knows what you like, too: snuggling together with a good book. So why not try these Canine Christmas books? Big brown eyes. Who can resist them? Not author Joal Derse Dauer, and in the true story “Saving Sadie” (with Elizabeth Ridley), she writes about how she found a disabled, depressed dog at a no-kill shelter and she knew she had to so something. It’s a book about love, perseverance, and willingness to open your heart to the dog that needs you most (and vice versa!). Who doesn’t want a little romance at Christmas – especially if there’s a dog involved? “The Dog Who Came for Christmas” by Sue Pethick is a novel about a single mom who’s near the end of her rope, until her son brings home a stray dog. Of course, the whole family falls in love with the pup – until the dog’s supposed owner shows up to claim the pooch from the boy. He’s single, too, but only barely. Will whoever gets the man, keep the dog, too? If you know the answer to that book without even trying, then you’ll like “Pupcakes: A Christmas Novel” by Annie England Noblin, the story of a newly-divorced woman, a pug on her doorstep, a new business, and an intriguing man with an Irish wolfhound. Toss in a curmudgeonly neighbor and there’s a good tail. Here’s no big news: celebrities love their dogs, too, and you can read some of their thoughts on Fido and Rover inside “Life’s a Pooch” by Boze Hadleigh. It’s chock-full of quotations about dogs (both in film and out), people who love dogs (both in film and out), and people who hate dogs (gasp! ), broken into categories that make for easy browsing. And finally, speaking of celebrities, if you’re familiar with author Shirley MacLaine’s terrier, Terry, then you’ll want to read the updated “Out on a Leash.” I’m not ruining the ending by saying that Terry died, but there’s more to the story here. Suffice it to say that if you lost a dog this year, you’ve got to read it all. If these books don’t satisfy your craving for canines, then sniff around at your local bookstore or library. There’s a gift beneath your tree for Pupsie. 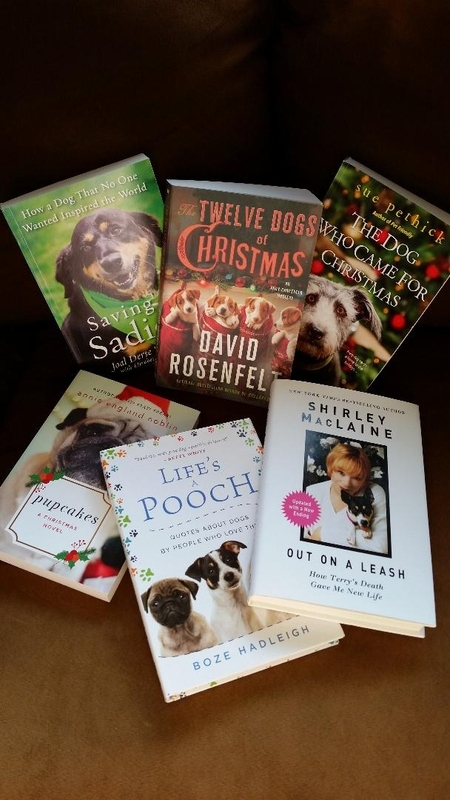 Put one there for you, too, because a gift list without a dog book is really not finished. 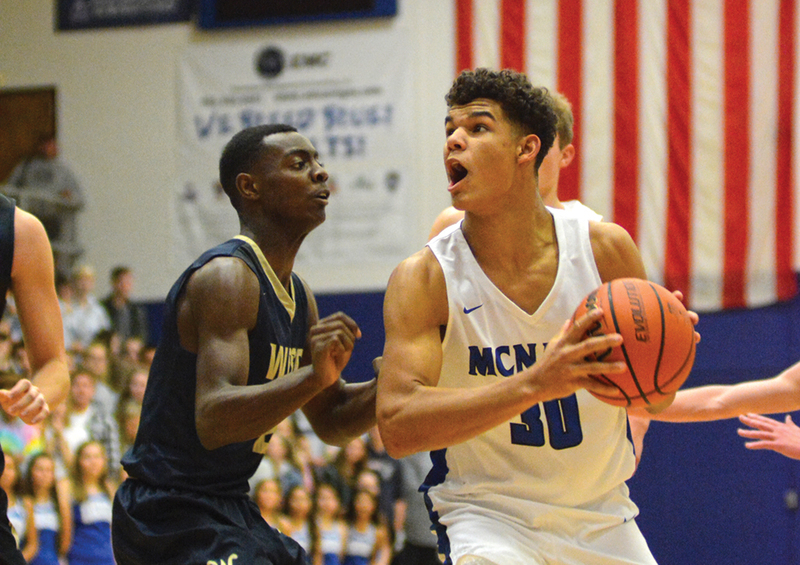 Behind a big first half, McNary (2-1) opened Greater Valley Conference play with a 72-54 win over West Albany on Friday, Dec. 8. The Celtics outscored the Bulldogs 22-11 in the first quarter as McNary senior Chandler Cavell scored 11 of his 27 points and Lucas Garvey drained three 3-pointers. The Celtics continued to add to their lead in the second quarter and went into halftime with a comfortable 39-21 advantage. McNary head coach Ryan Kirch said the key to the fast start was more ball movement and less dribbling. “Watching our first couple games on film, I thought often times we over dribbled the basketball, whether that was in transition getting the ball up the floor or in the half court offense and I thought we held the ball one extra dribble, which allowed the defense to recover from any advantage that we’d gotten,” Kirch said. The Celtics were 19-for-26 from the free throw line. Cavell finished 10-for-11. Along with his 27 points, Cavell also added 10 rebounds, five assists and three steals. He was 8-for-12 from the field with all four of his misses coming from behind the 3-point arc. Struggling to rebound and defend, Kirch changed his rotation with 6’5 senior Ricardo Gardelli and 6’6 junior Boston Smith getting the start. Smith finished with five rebounds to go with four points, two blocks and two steals. Gardelli had just one rebound but added 10 points. Garvey finished with 18 points, two rebounds and three steals. Andrew Jones added two points, six assists, three rebounds and two steals. The Celtics got nine points from their bench, led by Griffin Oliveira, who finished with six. “We’re still working on some rotations and who can play different spots and when,” Kirch said. SALEM—For the first time in more than a year, McNary had a full varsity lineup as it went into South Salem and won 62-14 on Thursday, Dec. 14 to improve to 2-0 in the Greater Valley Conference. The Saxons weren’t as fortunate, forfeiting seven weight classes to give McNary a 42-0 advantage before the first match even started. At 138 pounds, Jerry Martinez won a 16-0 technical fall in the opening match. Noah Grunberg then lost by a major decision to Ricky Villarreal at 145 pounds for South Salem’s first points. At 182 pounds, Garrett Wampler pinned his opponent in the first period to add to McNary’s lead. Blake Norton won 3-2 at 220 pounds. South Salem took the 195 and 285-pound matches. Tony Castenada won the final match of the night at 113 pounds by pinning his South Salem opponent in the second period. Two men armed with handguns robbed Good Times Grill Monday, Dec. 11, about 2:30 a.m. Four days earlier, a pair of men strong-armed a manager at Shari’s Cafe and Pies before making off with a cash drawer. Police now suspect the two incidents are related. Keizer officers were still investigating both cases at press time, but Deputy Chief Jeff Kuhns said one suspect had been charged in the Shari’s robbery while the hunt was still on for suspects in the Good Times robbery. 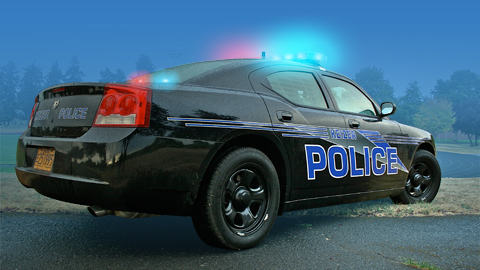 The victim at Good Times, a 44-year-old woman who works at the business located at 122 Chemawa Road N.E., told police she was closing up when the first suspect entered and demanded money while pointing a handgun at her. She described the first suspect as a male with dark skin, dark brown eyes, approximately 5-foot-3 to 5-foot-5 and under 30 years old. The suspect was wearing a dark-colored backpack, blue jeans, a dark colored jacket with hood and a red baseball cap. The hood was pulled over his head and cap. After the first suspect robbed her and fled the business with an undisclosed amount of cash, a second male, also armed with a handgun, emerged from the back of the business, approached the victim and demanded money. After telling the second suspect she had already been robbed by the first suspect, the second man appeared to become confused and then fled the business. The second suspect was described as a white male adult who was “skinny” approximately 5-foot-9, and he was also under 30 years old. He was wearing a dark coat, a light-colored baseball cap and he had a red bandana or handkerchief covering most of his face. Police believe the two men were working together despite the lack of communication. Keizer police officers responded to the area along with a K-9 unit from the Salem Police Department who conducted a search, but neither suspect was located. At Shari’s, two men pushed a manager to the ground before making off with one of the business’ cash drawers on Dec. 7. The incident occurred about 8 p.m. and officers from the Keizer Police Department responded to the restaurant at 4998 River Road N.
Police are not yet releasing descriptions of the suspects and are continuing to investigate the case. Using physical force to overcome the manager meant the incident was classified as a robbery instead of a theft. Anyone having any information about the incident at Good Times is asked to contact Keizer Police Department Det. Ben Howden at 503-856-3525. Investigators ask anyone who resides or has a business with security or surveillance cameras in the immediate vicinity of the Good Times Grill to review their recordings to see if either suspect can be seen. Reference Keizer Police Department incident no. 17-5115 for the Good Times robbery or incident no. 17-5076 for the Shari’s robbery. McNary (4-0) got a taste of its own medicine. Playing another team of mostly guards, the Lady Celts eked out a 51-46 victory over West Albany on Friday, Dec. 8 to open league play. While McNary never trailed in the game, the Bulldogs got within four points early in the fourth period and then 45-44 on a 3-pointer with 1:14 remaining. 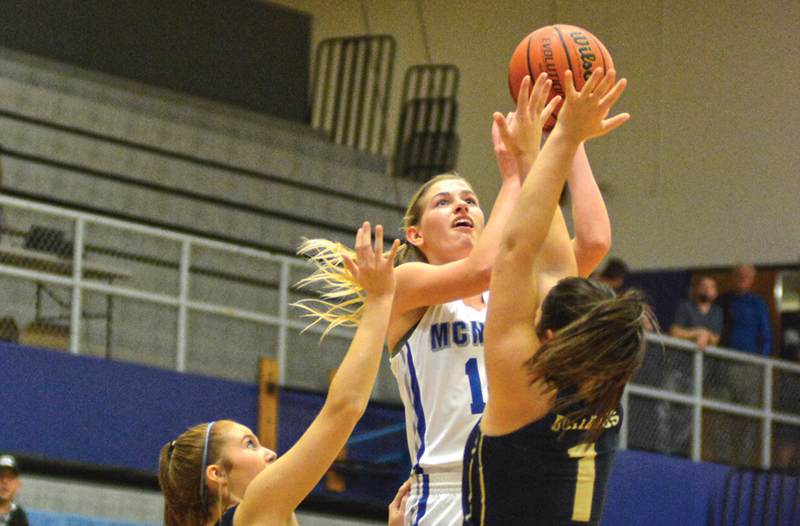 After passing the ball around the perimeter in an attempt to run out the clock, McNary senior Kailey Doutt saw a lane and drove to the basket, making a layup and then the free throw to complete the 3-point play. “I saw an opening to the left and I went for it. That’s my strong side,” Doutt said. On the other end, Doutt then pulled down a defensive rebound and went 1-for-2 from the free throw line to stretch the lead to 49-44. After West Albany made two free throws, McNary senior Paige Downer knocked down a pair of her own with 9.8 seconds remaining to seal the victory. The Lady Celts looked like they would run away from West Albany early, beginning the game on a 14-4 run. When the Bulldogs got within 16-12 early in the second period, Downer and Leah Doutt each scored two baskets to give McNary a 24-13 lead. Kailey Doutt’s shot began to heat up in the second half as a 3-pointer and jumper put the Lady Celts on top 31-17. Doutt finished with 21 points, 15 of which came in the second half, to go along with 10 rebounds. McNary led 37-26 when the Bulldogs went on a 7-0 run to get within 37-33 with 7:39 remaining in the game. The Lady Celts also got in foul trouble. Sabella Alfaro, who only played nine minutes, made a 3-point play with 4:11 remaining before fouling out with 1:40 to go. Leah Doutt also fouled out, with 3:38 remaining, finishing with four points, four rebounds and three blocks. Senior Emma Kinler and freshman Mackenzie Proctor got more run off the bench. Kinler finished with four points and four rebounds. Proctor added two points and two steals. Downer scored nine points for the Lady Celts. Abbie Hawley added eight and four rebounds. But the central conceit of the film—that a deflated, defeated Churchill required bucking up by average Brits —is a fiction. Very nearly the opposite was true. The policy of appeasement was broadly popular in Britain during the early to mid-1930s. In 1938, a majority supported Neville Chamberlain’s deal at Munich (which ceded much of Czechoslovakia to Nazi Germany in return for … nothing). It is more accurate to say that Churchill summoned British courage and defiance by his intense idealization of British character. He saw heroic traits in his countrymen that even they, for a time, could not see. This is not to say that May and June of 1940 weren’t dark times, even for Churchill. As resistance in France collapsed and Italy seemed destined to enter the war on Germany’s side, Churchill asked his chiefs of staff if it were possible to continue the war at all (they gave a conditional “yes”). The despair implied in that question still startles. But on June 3, even as British troops were being evacuated at Dunkirk, Churchill’s private secretary Jock Colville wrote in his diary: “Winston is tired of our always being on the defensive and is contemplating raids on the enemy. ‘How wonderful it would be,’ he writes to [Gen. Hastings] Ismay, ‘if the Germans could be made to wonder where they were going to be struck next instead of forcing us to try to wall in the Island and roof it over.’” In the midst of catastrophe, Churchill was dreaming of Normandy (and North Africa, and Italy). Not the thoughts of a defeated man. And yet, in saving the remnants of the British Army at Dunkirk, it fell to 665 private British boats (along with 222 British warships) to rescue their country from (likely) capitulation or invasion. All the powerful, impersonal forces funneled down and down to 665 volunteer captains in pleasure craft and fishing trawlers. The future of freedom was determined by the choices and courage of a few hundred free people. And, of course, the choices and courage of one man. A New York Times review of Darkest Hour sneered at the movie’s “great man fetish.” But is there really any doubt that history would be darker if Churchill had truly lost his nerve, or had died when hit by a car in New York in December of 1931 (he escaped with two cracked ribs and a severe scalp wound)? History can hinge on a single life. From Churchill, we learn to resist pessimistic extrapolation. May 1940 was terrible, but not permanent. We learn the power of unreasonable optimism—the value of planning for revival in the midst of defeat. We see the possibility of leadership that can not only ride the tide but summon it. Many of us view this example, not only with appreciation, but with longing. The problem of our time is not only arrogance without accomplishment or swagger without success. These are common enough in politics. Rather, it is the arrival of leadership that survives by feeding resentment, hatred and disorienting flux. Leadership urging us—at angry rallies, in ethnic stereotyping, through religious bigotry—to forget who we really are as a people. Leadership that has ceased to believe in the miracle at our country’s heart—the inclusive, unifying power of American ideals. Income inequality, and its corollary, much more for the few and much less for the many in access to goods, services and even educational opportunity, has of late become a concern again. Some conservatives argue that this kind of talk is unwise as it will do harm to economic growth. These Americans, seeking the matter muted, want us to ignore the growing disparities, viewing such discussions as un-American. For them, it’s a no-no to suggest that some people control too large a share of the nation’s wealth, possessing inordinate power and permanency by it, keeping every cent of it for their heirs. Who was this “threat” to those who believe it an American right to greedily own and control forever, everything in sight? Why it was none other than a conservative Republican former President Theodore Roosevelt, in a speech on the “New Nationalism, “ he delivered in 1910. Back another 100 years, this “American invention” had its roots in the Jeffersonian vision of an egalitarian society of small farmers. At the time Teddy Roosevelt gave his speech, thoughtful Americans realized that extreme inequality was making a mockery out of Jefferson’s dream while the U.S. was in considerable danger of turning into a society dominated by huge fortunes and hereditary wealth. Their view: that this relatively new nation, the United States of America, was at high risk of becoming decadent, corrupt, self-indulging, and rotten-to-its-core, like Old Europe. Taking notice of current data, it is interesting to look at the Forbes list of the wealthiest Americans and, by a somewhat rough count, to be aware of the top inherited large fortunes that about a third of them are inherited. Another third are 65 or older, so they will likely leave large fortunes to their heirs. The bottom line is that we are closing in on becoming an aristocracy of hereditary wealth. Hence, criticizing our fellow Americans who talk about the dangers of concentrated wealth in a very few hands misleads the public into ignoring the consequences from history where nations with concentrated wealth led to decadent, corrupt, self-indulging, rotten-to-the-core cultures. It should be very American to be concerned and to do whatever’s possible to replace those members of Congress who are busy now with a new taxation scheme making sure that the wealthy can aggrandize excessively and keep it all for those they have sired. Masterpiece Theatre presentations such as Upstairs, Downstairs and Downton Abbey glorified and celebrated domestic service in the England of near yesteryear. However, that work in reality meant totally surrendering one’s freedom, being at the beck and call of inherited wealth and facing loss of employment for the most petty of infractions. In Merry Ole England, if you were not born rich, then you served the rich, for all intents and purposes you gave up your citizenship to the rich, you dug coal to keep the rich warm or you starved and no one gave a damn and a class society ruled. Is this what Americans want for their progeny?